You are currently browsing the tag archive for the ‘Yahya Al-Faifi’ tag. 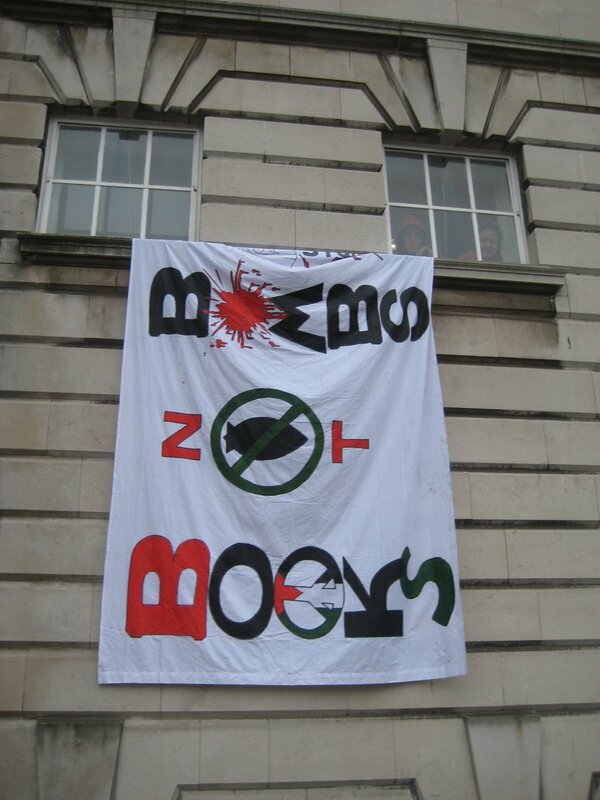 Cardiff University has been occupied! No Borders South Wales applaud the actions of Cardiff Students Against War who, inspired by actions at other universities across the UK, have occupied the Large Shandon Lecture Theatre in the main building of Cardiff University and issued a set of demands about the University’s complicity in the arms trade and the destruction of Gaza. Yahya Al Faifi must stay! 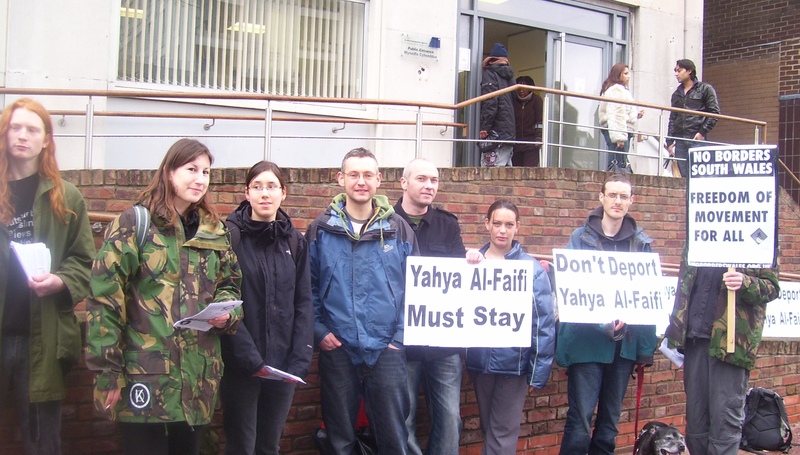 Today was an international day of action for trade unionist Yahya Al-Faifi, who is under threat of deportation to Saudi Arabia. 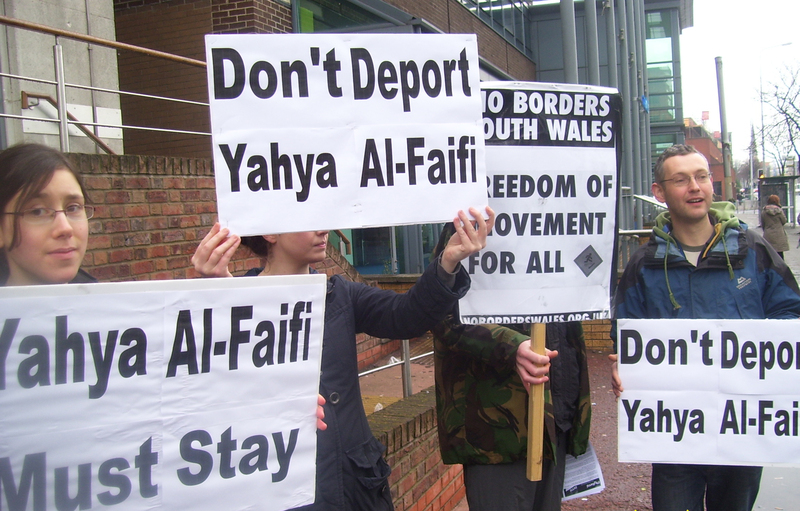 There were protests outside the offices of the Home Secretary in Whitehall, outside the UK Border Agency in Cardiff, as well as outside the British embassy in Brussels. 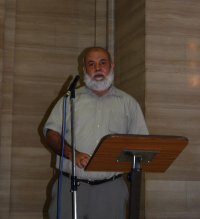 Yahya and his family fled Saudi Arabia after threats of fatal attack because of his trade union activity, eventually settling in south Wales. However, Yahya has had his application for asylum refused and he now faces the very real possibility of being deported back to a country with a horrific human rights record where trade unions are illegal. 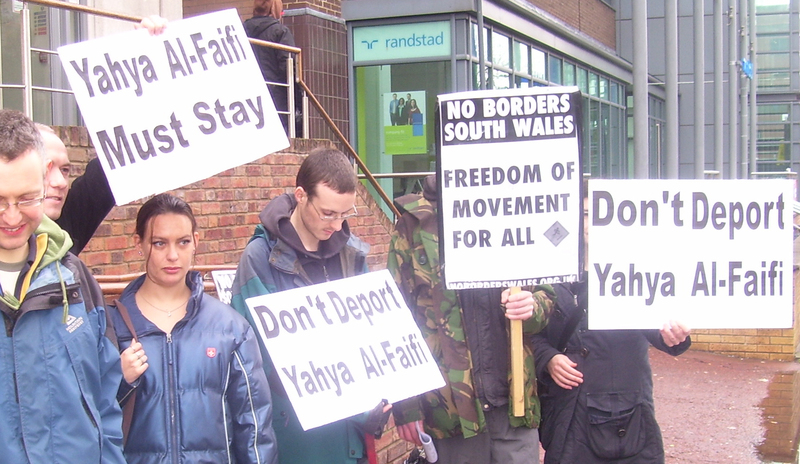 Yahya Al Faifi and his family, who live in Cardiff, are now threatened with deportation after their asylum application was refused. 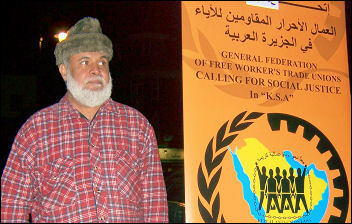 The family were forced to flee Saudi Arabia in 2004 after receiving threats for Yahya’s trade union activity. The trade union movement has called for an international day of action on Thursday 19th February. At 2pm, there will be a lobby of the Home Secretary in Marsham Street, behind Millbank (Pimlico Tube Station – map). All supporters who can be there are urged to attend. From 12 noon there will be a picket at the UK Border Agency, 31-33 Newport Road, Cardiff (map) in support of this day of action and in solidarity with the demonstration in London. Yahya Al-Faifi is a trade unionist from Saudi Arabia, a country with a horrific human rights record and where trade unions are illegal. After he and his family were threatened for his organising, he fled the country in 2004. Settling in south Wales, he has continued his trade union work with the Communication Workers Union, and has been made an honorary member of the National Union of Mineworkers.